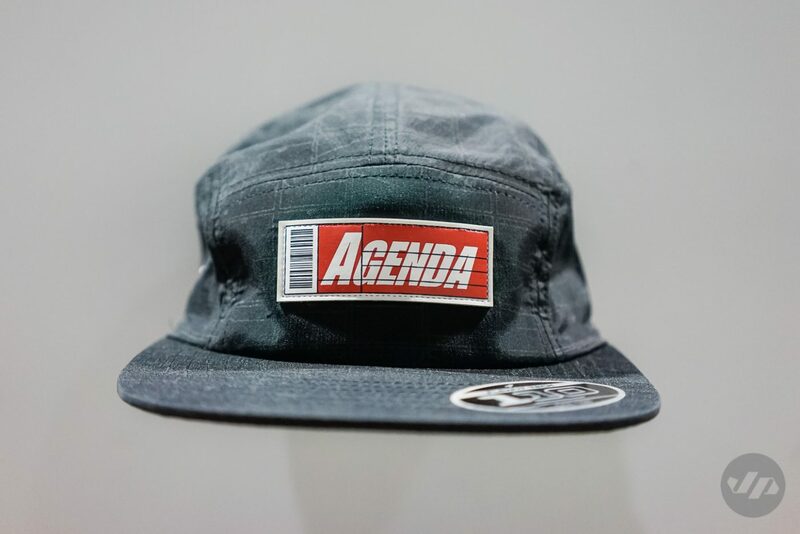 Last week I stopped by the Agenda Show for a couple hours. 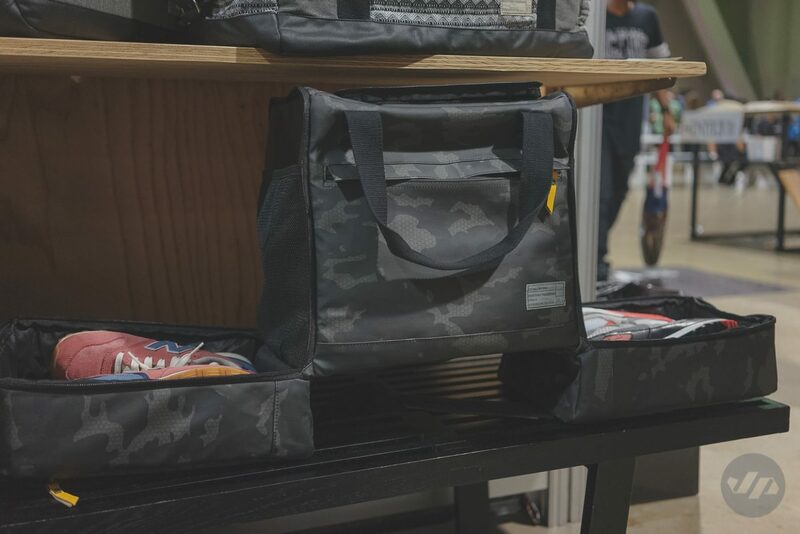 I had just gotten back into town from being away for a couple weeks for Formula DRIFT New Jersey and my wedding, but couldn’t resist walking down the street to the convention center to see the latest goods and catch up with a few friends. Unfortunately, the travel and everything caught up with me and I was a bit under the weather so only stayed for a couple hours before going back home to rest. 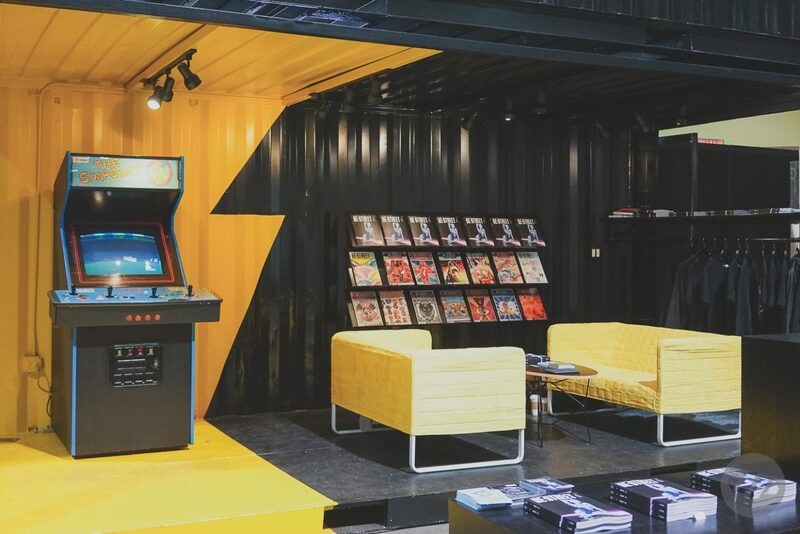 Here’s a few things that caught my eye in a short amount of time. 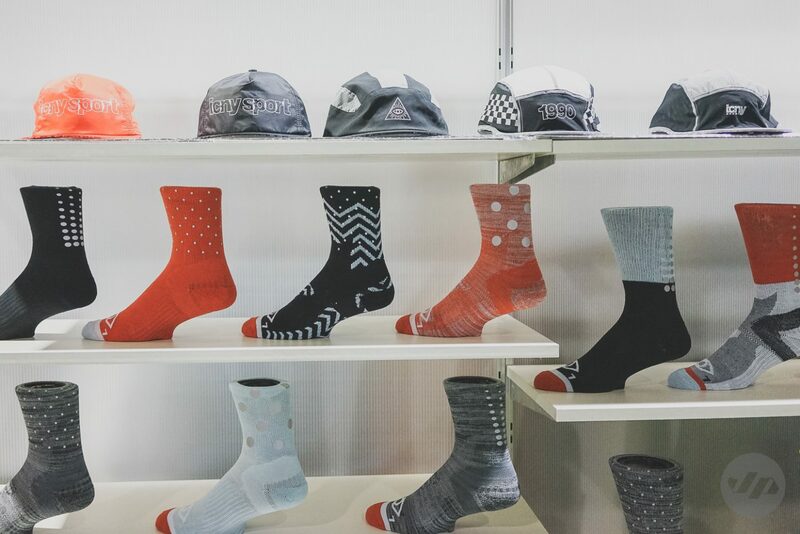 As always Flexfit x BSCMP have brought out a few limited hats for the tradeshow. 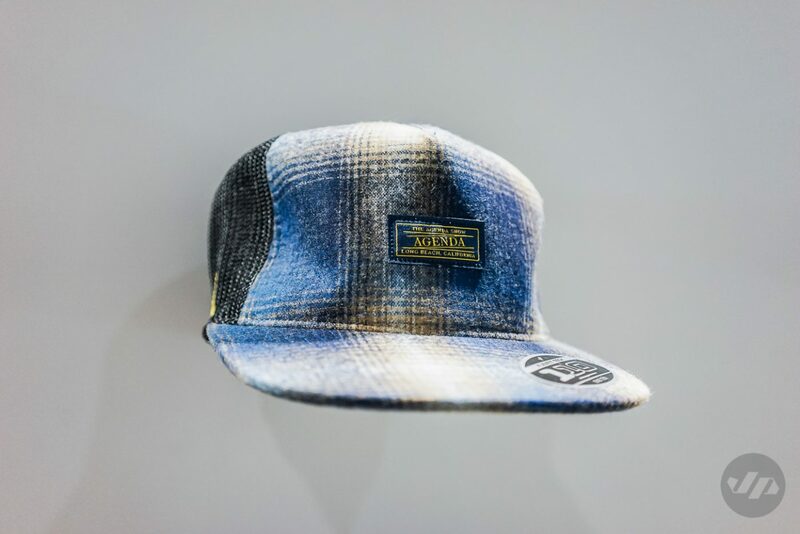 The one above is designed with Nice Kicks utilizing the 110 5-panel and is super lightweight, while the hat below is a collaboration with Pendleton on a 110 trucker. 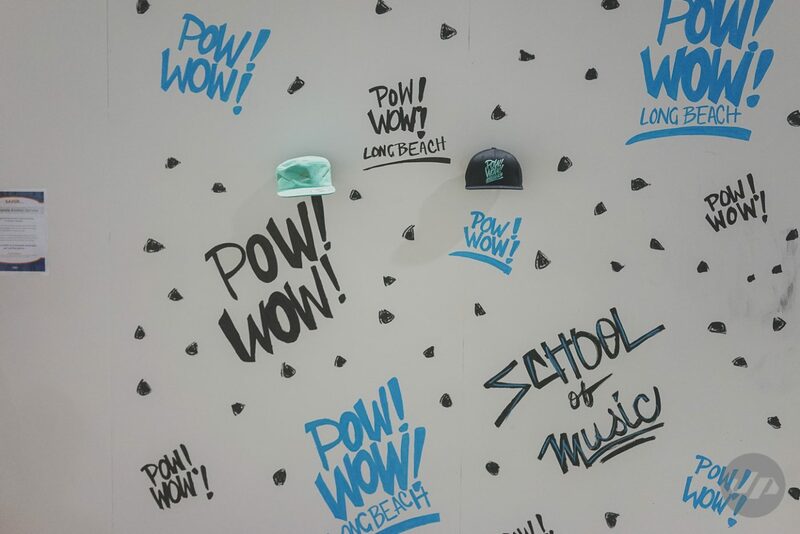 They also showcased their recent work with POW!WOW! Long Beach. 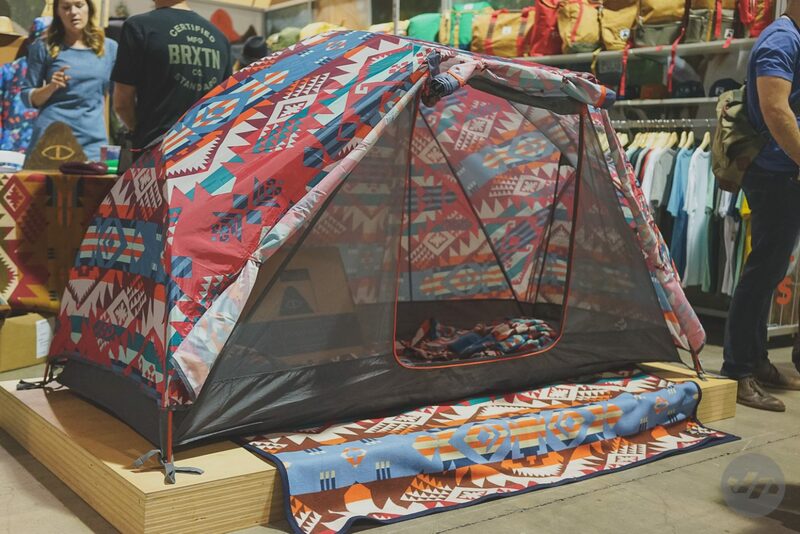 Speaking of Pendleton, they had a booth at the show, which I failed to capture a photo of, but think travel blankets and such, but within the Poler booth they had a collab on this tent. 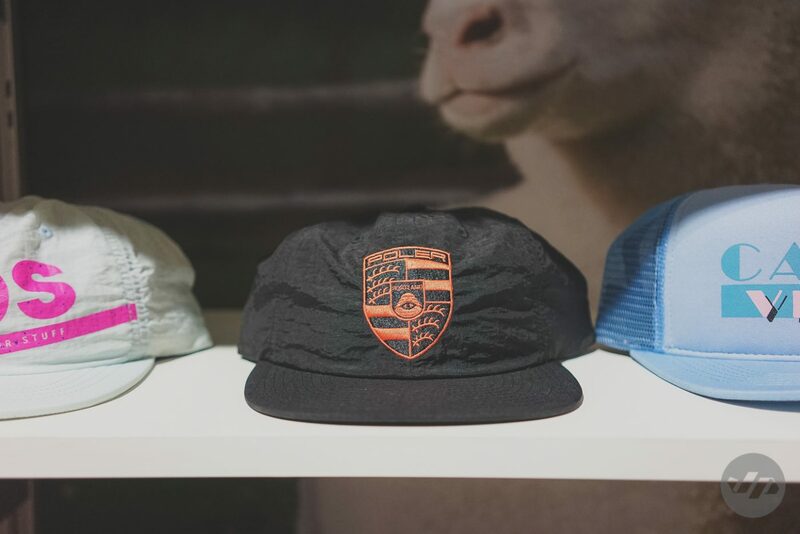 Poler showcased a few other rad items including this Porsche inspired hat. GoPro has unveiled the new Hero4 Session. Super small, lightweight, and extremely easy to use. This is definitely the camera to get if you want simplicity and ease. 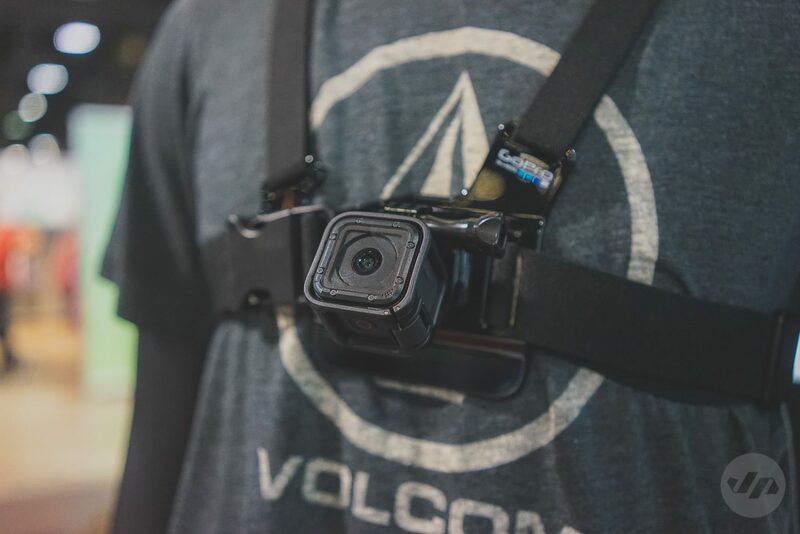 While on my trip I lost my Hero4 Black Edition while stand-up paddle boarding on the lake (not my fault the pole base broke and the camera took a dive), so this may be my next investment. 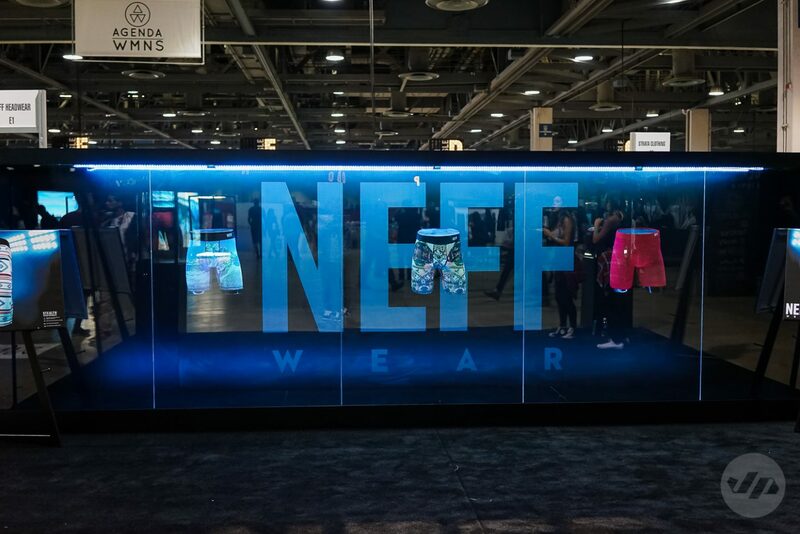 Neff unveiled their new underwear collection. Seems like more brands are getting into the undergarments recently. The Brothers Marshall always seem keep things interesting with their caged in display. The products once you’re allowed inside are quite good. 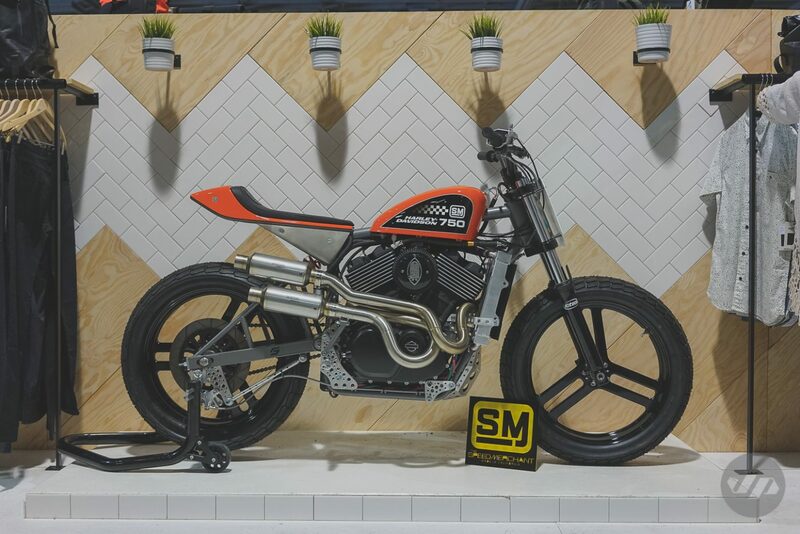 OurCaste featured this Speed Merchant bike within their well designed booth. 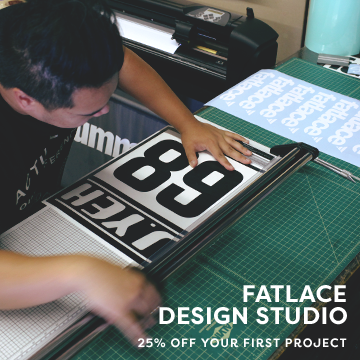 They another brand that has caught fire as of late with their functional and clean designs. 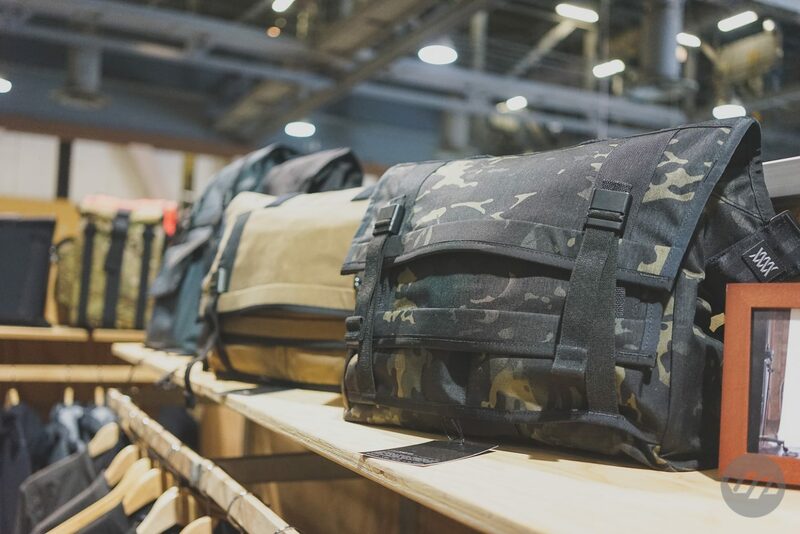 Bay Area bag brand, Mission Workshop, showcased their collection of active gear and bags. I really dig a lot of their stuff. 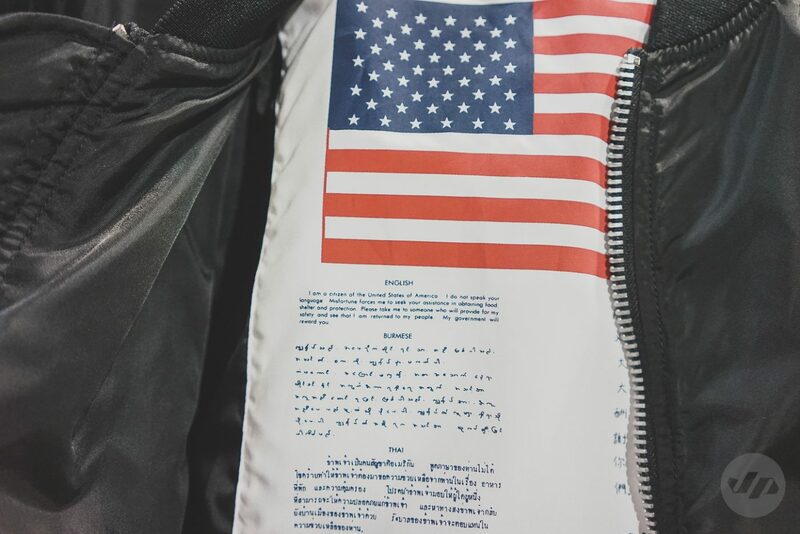 Another one of my favorites is Alpha Industries. 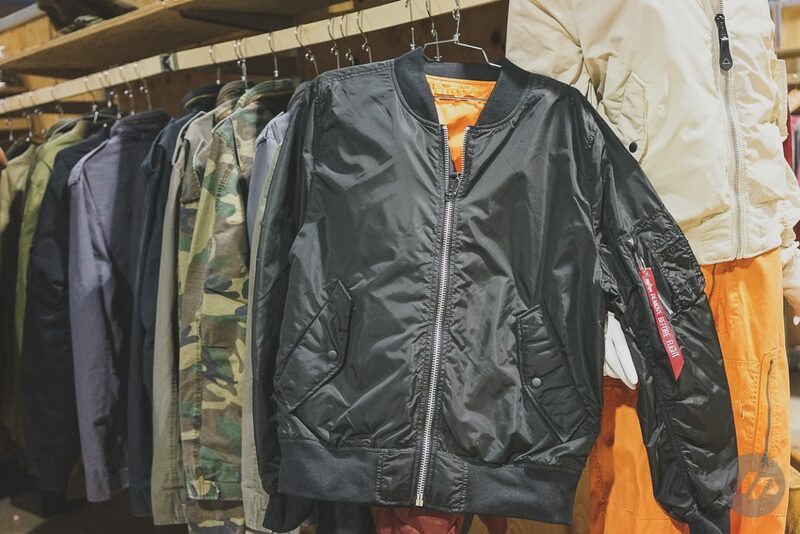 The original MA-1 flight jacket and M-65 Field Coat have become style staples. 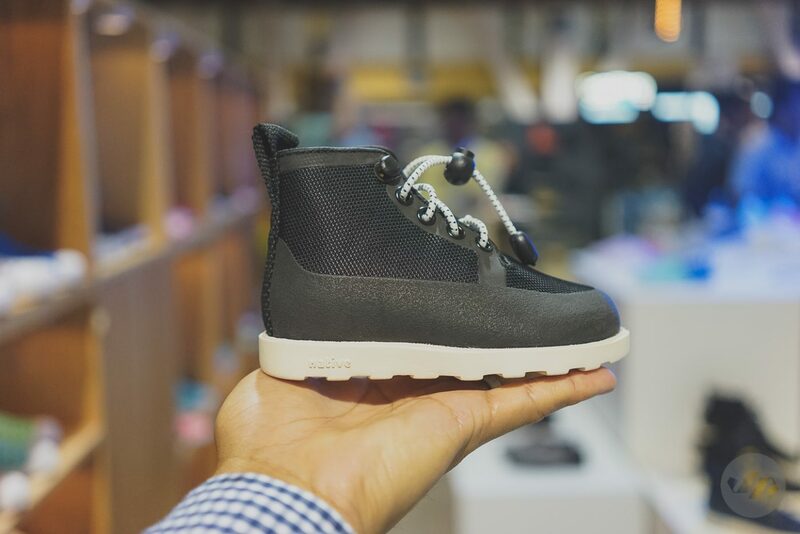 They showcased a new lightweight version of the MA-1 that is great for any weather and is definitely something worth adding to your rotation. 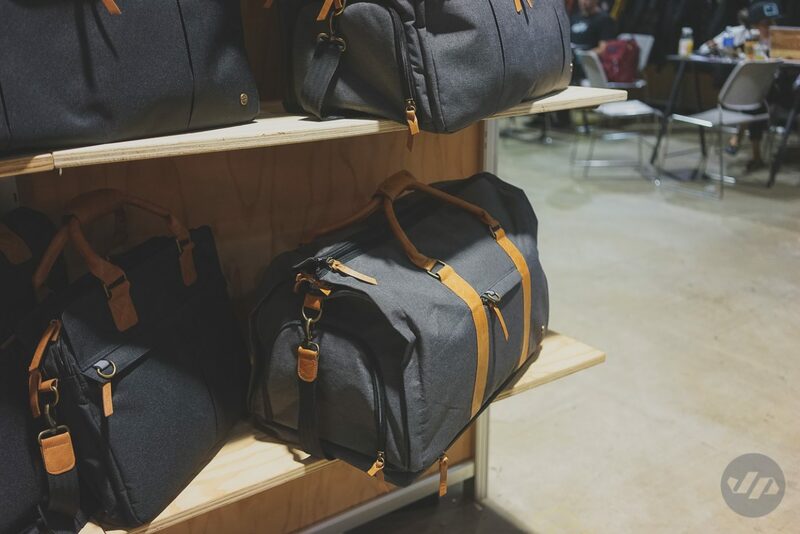 They also have a collection of bags with Manhattan Portage coming out soon. 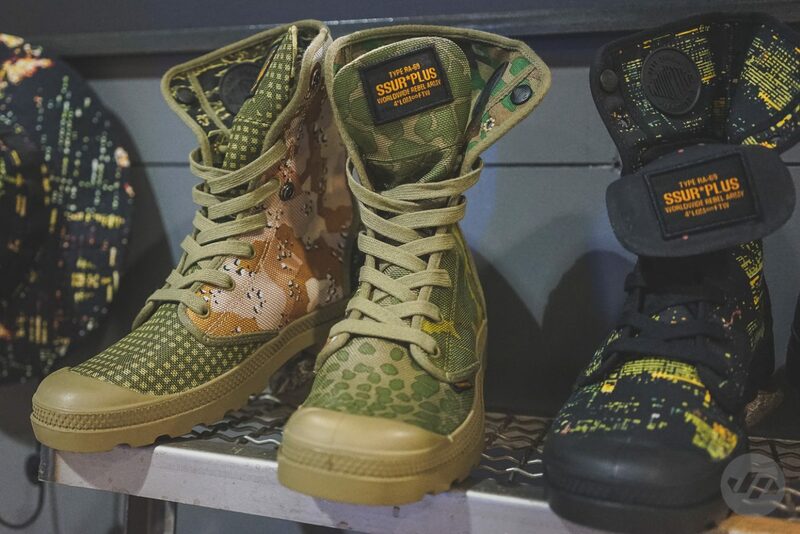 Another military inspired collab complete with various camo prints is with Palladium boots and SSUR. 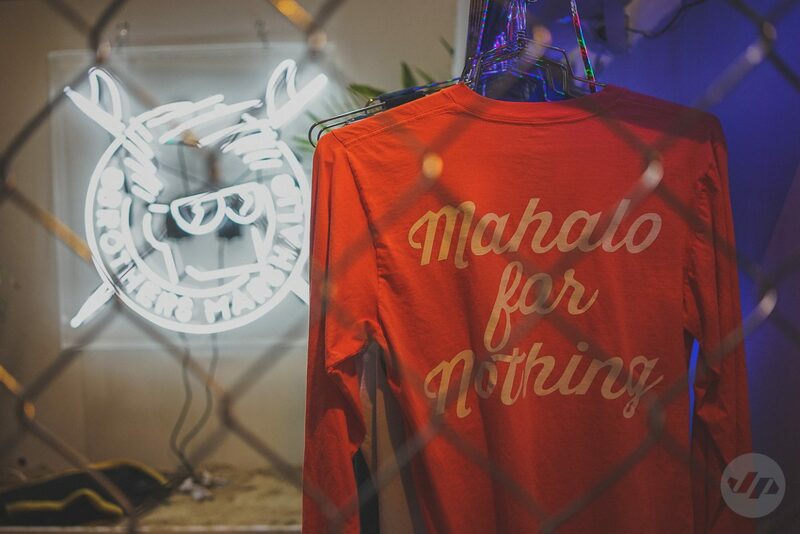 Super fresh. 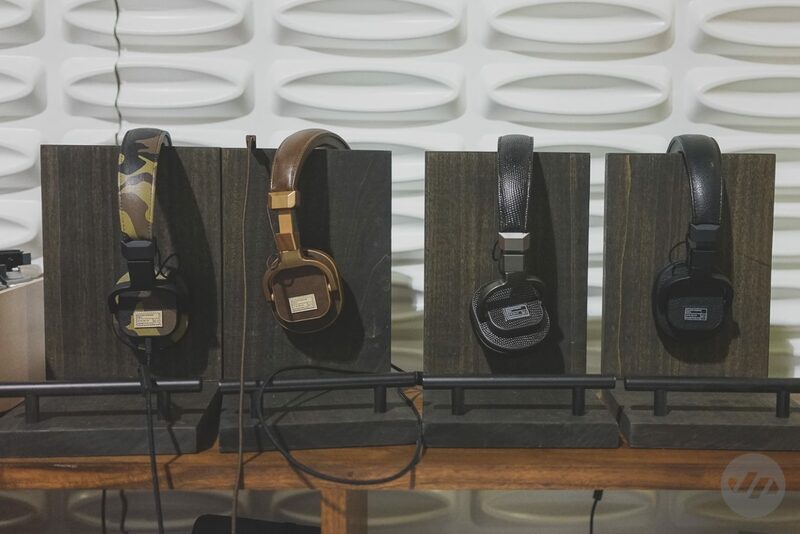 Our friends at HEX displayed their new line of headphones. I was impressed by the quality after listening to a couple J.Cole tracks from my iPhone. 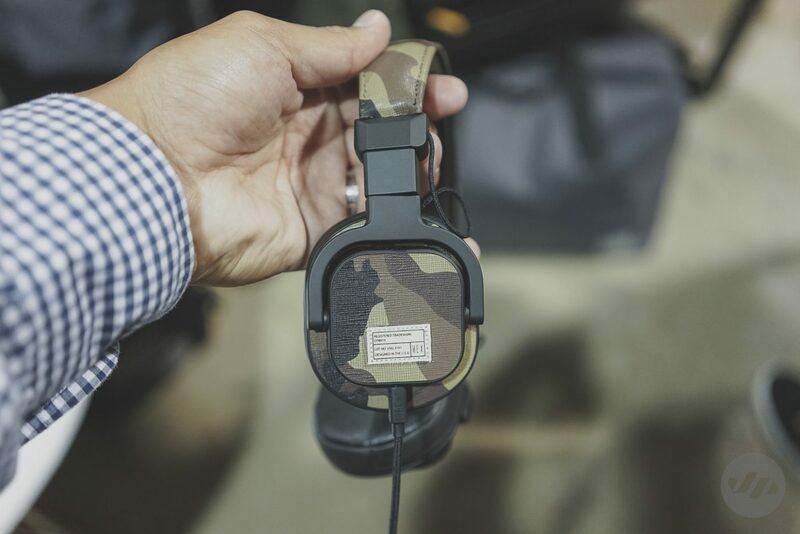 HEX’s founders have a music background so it makes sense that their next addition to their accessories would be headphones. 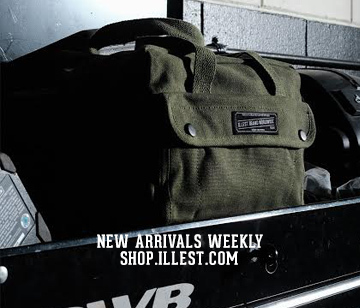 They also showcased a new shoe duffel that easily carries 2 pairs of kicks in separate compartments to keep things clean. 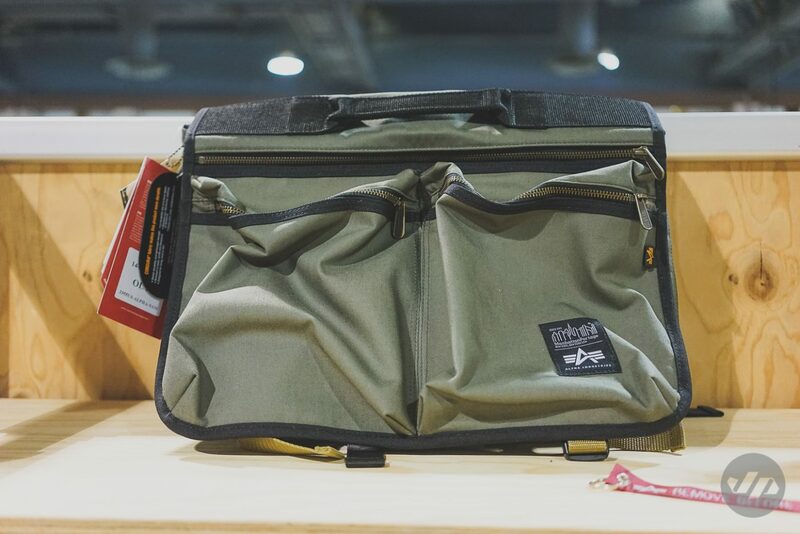 Another bag company that had something cool to showcase for your travel needs was PKG, out of Canada. 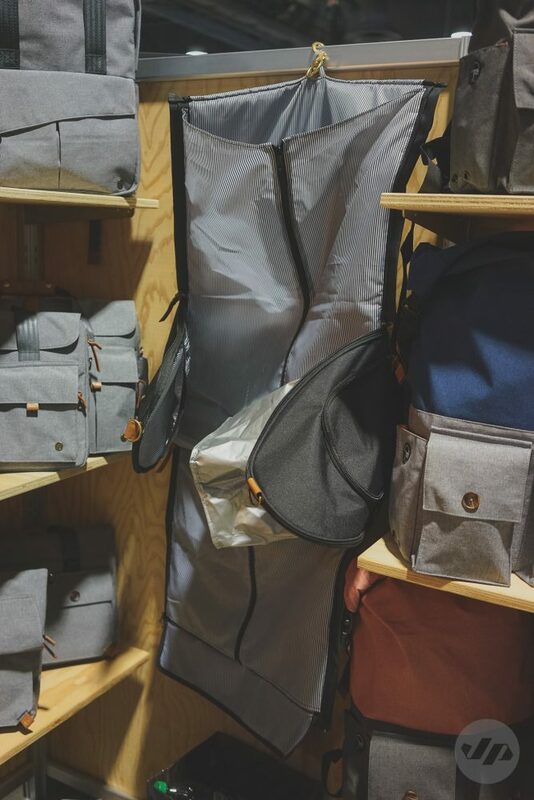 This duffel transforms into a full garment bag. Could of used this for the wedding. 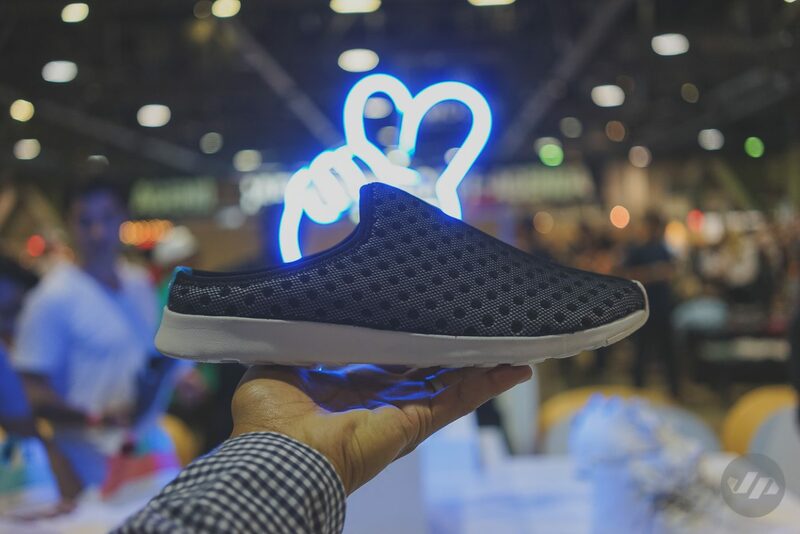 When it comes to lightweight kicks nothing beats Native. Great designs combined with lasting materials and fun colors. 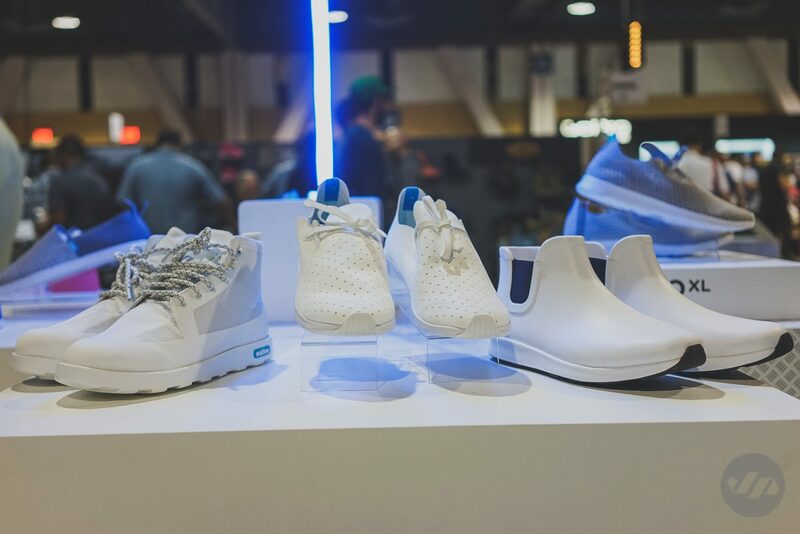 They will be unveiling their new Native Apollo collection in all white. I also love their kids collection. 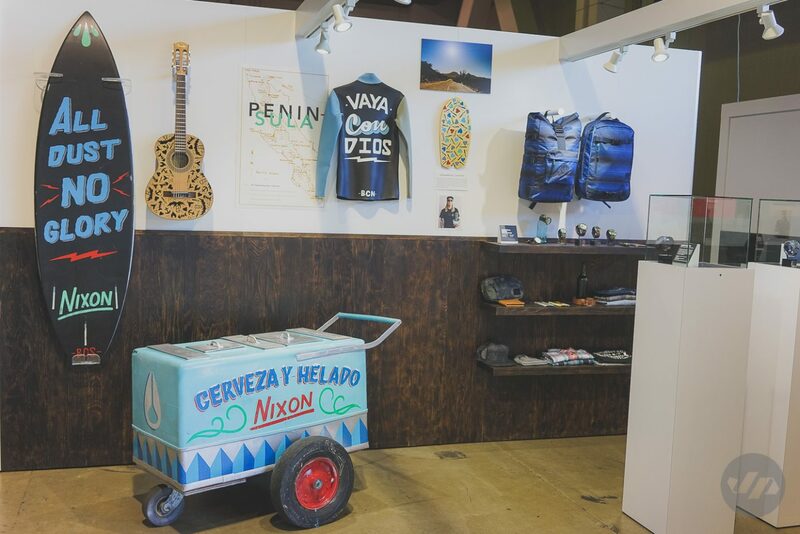 One collab not to miss is that from Sanuk Footwear and Stone Brewing out of San Diego. 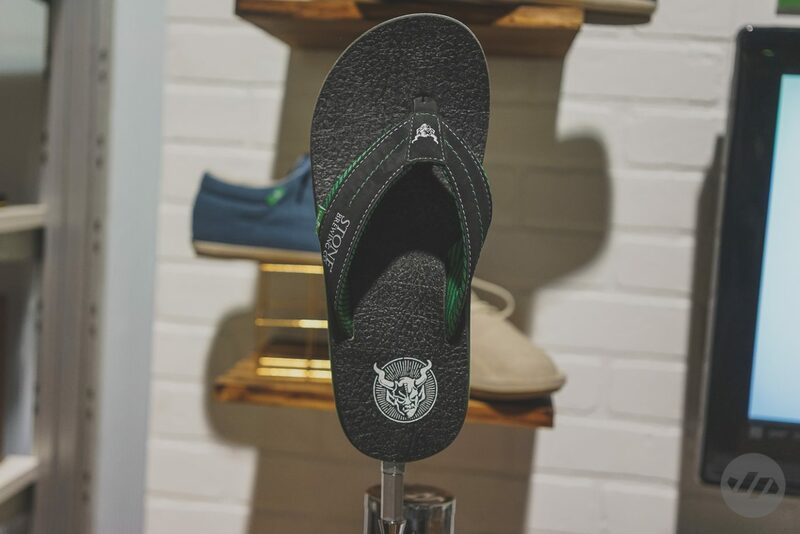 The Craft Beer Cozy Sandal Collection consists of 3 designs with a couple different colorways. 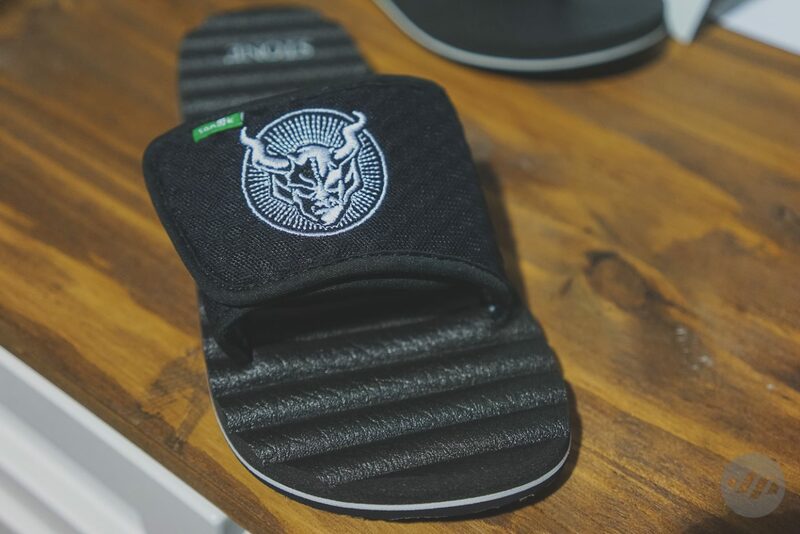 The sandals will be made in a small batch so get them before they are gone. 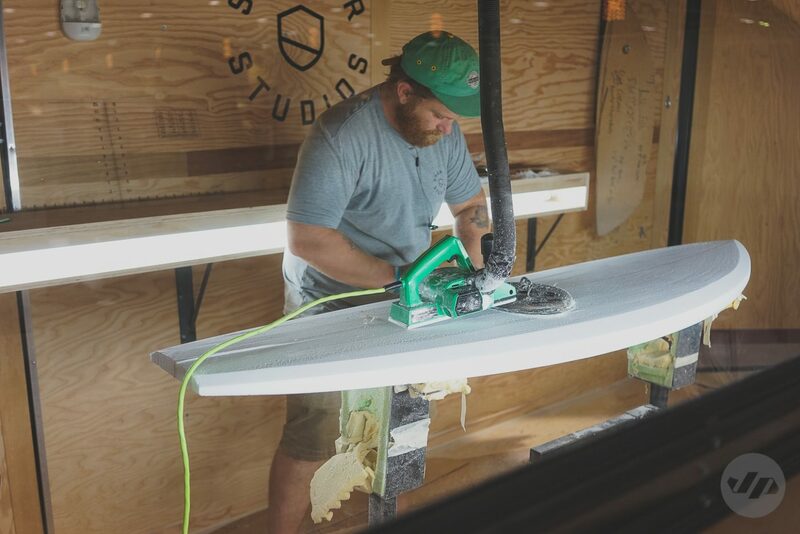 Quiksilver has recently revamped their marketing and social media strategy to connect once again with their core consumer. 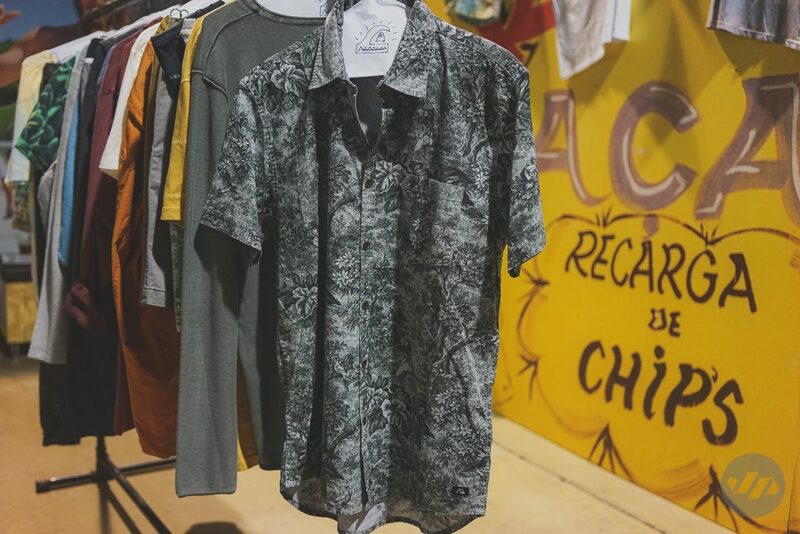 The new collection is inspired by a trip to Brazil. Nixon showcased a collab with Ornamental Conifer. 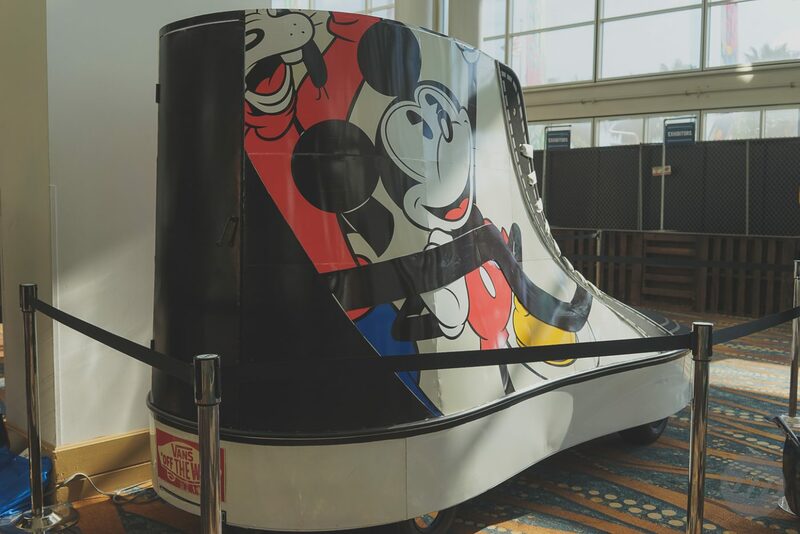 Vans had a huge Vans x Disney chukka to celebrate their recent collaboration. 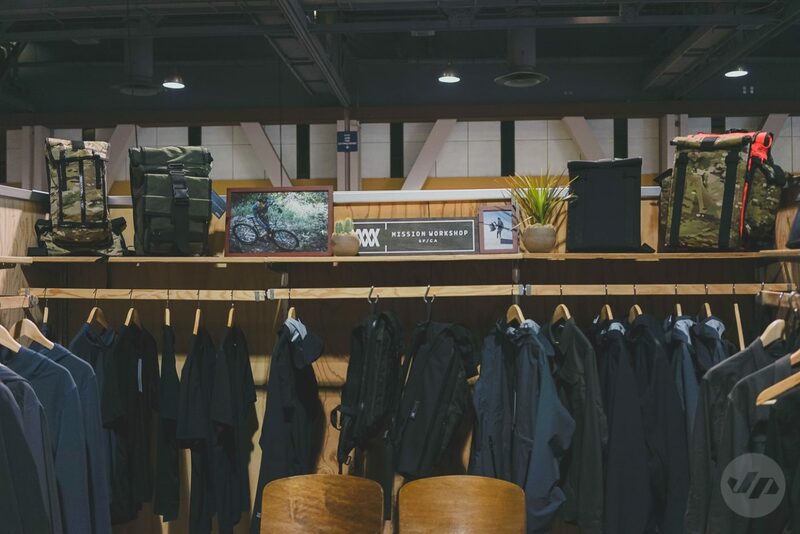 One brand that definitely caught my attention for their functional active apparel is ICNY. 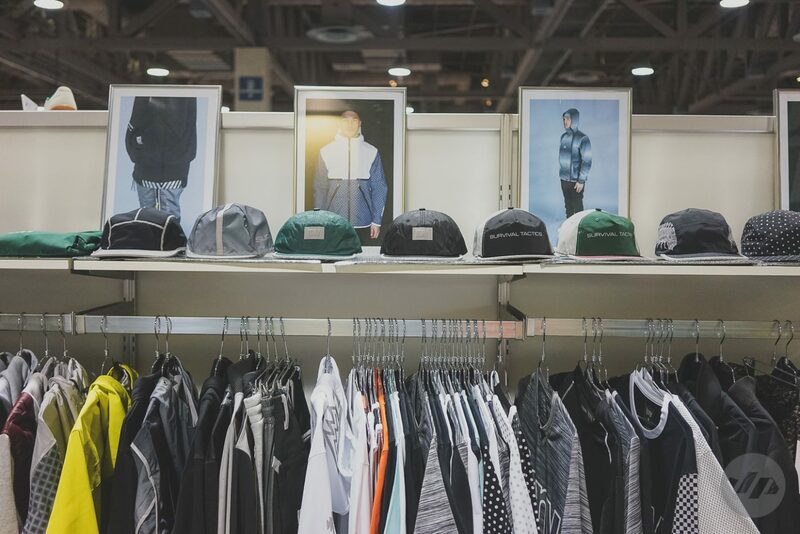 Amazing designs in their clothing and headwear. Stay tuned for more.